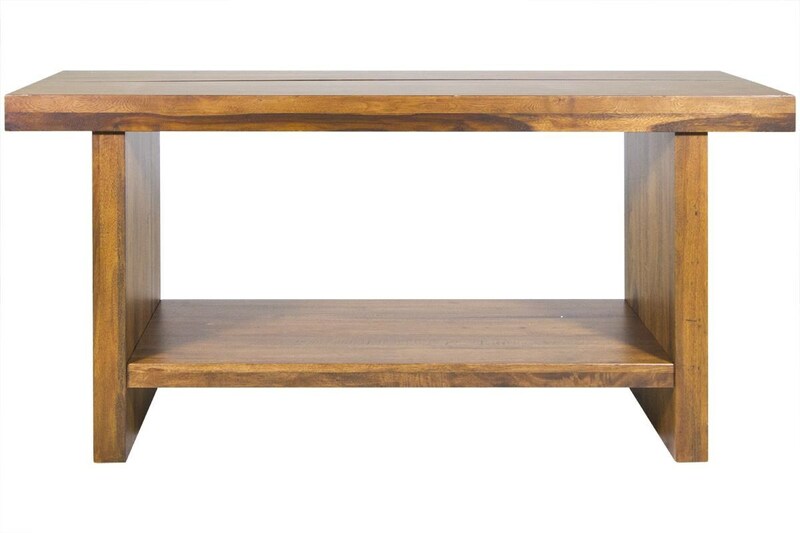 Bring the natural beauty of the outdoors inside with this console table. The table is crafted from Segnon hardwood solids, with natural knots, blemishes, and color variation all on display for a look that's full of character. One shelf provides simple storage and display space to the unique, ocean-inspired console table, which can be used behind a sofa, in a hallway, or in your entryway. The Ocean Console Table by Modus International at HomeWorld Furniture in the Hawaii, Oahu, Hilo, Kona, Maui area. Product availability may vary. Contact us for the most current availability on this product.